A contraindication is a situation when massage should not be performed. Continuing with treatment may make the condition worse. If you are unsure if massage is suitable for you then please discuss your medical condition with a doctor who can advise you further. Please read through the list below before making an appointment for a massage to ensure that massage is the best type of therapy for you. If you do have any of the conditions below then reiki may be more suitable for you. Reiki can be also used to treat people with heart conditions and pacemakers. Open wounds – Any cuts, lacerations or grazes. You should wait until the wound has completely healed. This can take as long as six months. Massaging old scars is fine and can actually help to improve the skin appearance. Recent operations – Please allow time for your body to recover and speak to your doctor when you think you are well enough to have a therapeutic massage. Muscle ruptures – In the acute stage these may still be bleeding. Massage will increase bleeding and tissue damage and prolong recovery. Tendon ruptures – The above also applies to tendon injuries. Muscle and tendon partial tears – Massage may be suitable after a minimum period of 48 hours, longer for more serious injuries. Contusions – These are impact injuries causing bleeding within the muscle. Massage to a contusion too soon after the injury may cause further damage and may lead to Myositis Ossificans (bone growth within the muscle). Burns, Chilblains and Broken bones – Massaging all of these will hurt and cause further damage. Rheumatoid arthritis and gout – These are inflammatory conditions. The same rules apply here as to acute injuries. Massage may cause further inflammation. Bursitis – Inflammation to a bursa. A bursa is a small sack of fluid that helps tendons pass over bones at joints. 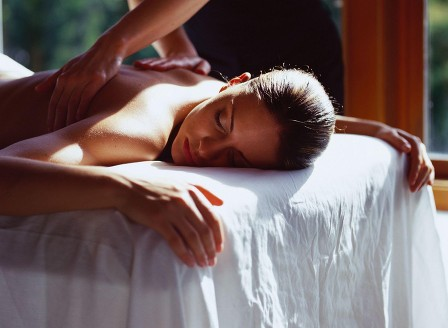 If there is pain, swelling and redness over the skin then massage should be avoided. Myositis ossificans – A bad contusion or muscle rupture may begin to calcify (grow bone). Massage will make the damage worse. Infections of the skin and soft tissue – Bacterial infections, viral infections and fungal infections can be spread to other areas of the body by the therapist. Pain may also result from the infection. Thrombosis – This is a rare but potentially lethal blood clot in a vein. It is common in the calf muscle area. A deep, sore pain in the belly of the muscle may be a thrombosis. If this is massaged, it may dislodge, travel up the veins and damage the heart. Artificial blood vessels -Artificial blood vessels which are implanted through surgery should be avoided. Bleeding disorders such as haemophilia – Massage may cause damage to tissues and result in bleeding. Also people who are taking medication to thin the blood. Massage should be avoided as this type of medication will make you more prone to bruising. Tumours – Any undiagnosed lumps and bumps in the muscle or skin. Most often these lumps are muscle spasms or fatty tissue. If you are unsure then please speak to your doctor. Sharp Pain – Any sudden sharp pain should be referred to your doctor or A & E clinic as soon as possible. This might indicate injury or disease and can not be treated by massage.